UFC Fight Night 127 in London, England, will be headlined by the one and only Fabricio Werdum, a fighter who has managed to remain at the peak of the heavyweight division for the majority of his lengthy career. Werdum entered MMA at a time that fans look back on as the heyday of the sport – the early 2000’s PRIDE scene – which saw classic fights between names we now associate with near mythical status. Werdum quickly became a prominent star and has been able to remain so ever since. At a time when most of the active fighters we associate with this period are experiencing first-hand the decline in performance that is inevitable with old age, Werdum stands out as one who is still able to compete with the best in the division. Werdum won the UFC Heavyweight Championship in 2015, and he now sits at #3 in the UFC’s heavyweight rankings. 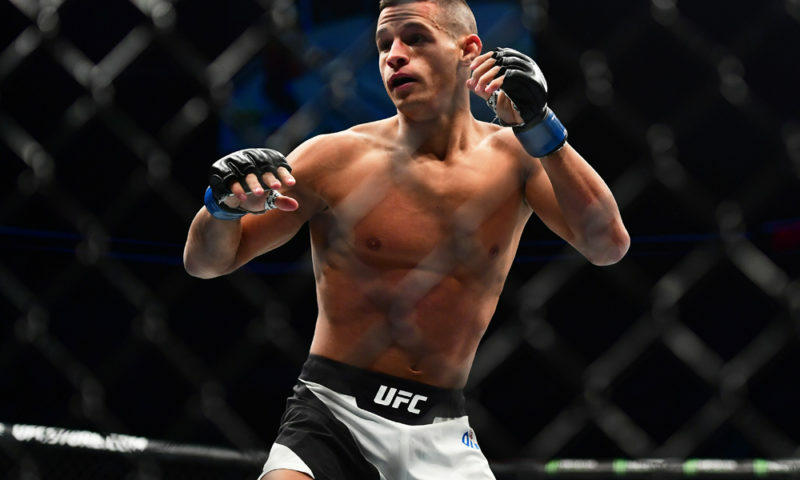 There are many fighters still competing who hail from what we would label the “old guard,” yet watching them fight feels like they are only kept around for their name, or to be defeated by younger prospects, who can then claim victory over a once prominent fighter and boost their standing. Werdum is an exception. Even though he hails from the same era, his performance has shown he still has business being in the cage after all these years. Over a 16-year career, Werdum has mastered a simple, yet deceptively lethal style of fighting that has allowed him to grind down and finish opponents both on his feet and on the ground. Before Werdum steps into the cage on Saturday night, let’s look back on this unique, yet minimalist style that has allowed the 40-year-old “Vai Cavalo” to not only remain in the UFC, but to thrive in an increasingly skillful division. When Werdum entered mixed martial arts competition in 2002, he was just another name in a long list of Brazilian fighters who had found success in Gi and No-Gi grappling competition, and would now take the anticipated approach of transitioning to MMA. After winning the IBJJF World Championship (2003, 2004), Werdum elected to turn his attention entirely towards MMA, dropping the Gi for a pair of gloves, but keeping his arsenal of lethal Jiu-Jitsu skills that had been acquired through years of drilling the art’s most fundamental movements. This skillset would help him achieve some of his most notable victories like the guillotine choke used against Cain Velasquez to win the UFC Heavyweight Championship, or the triangle/armbar combination that he used to submit Fedor Emelianenko, which ended Emelianenko’s nearly decade-long dominance of the heavyweight division. As one would expect from a two-time Mundial Champion, Werdum’s ground game is textbook Brazilian Jiu-Jitsu. Even the most novice of BJJ practitioners would be able to identify the submission holds he uses to finish his opponents, who are usually some of the most experienced MMA fighters on the planet. Guillotine chokes, kimuras, triangle chokes, and armbars are nothing more than the building blocks of Jiu-Jitsu, yet Werdum has been able to implement them successfully at the highest level of competition. 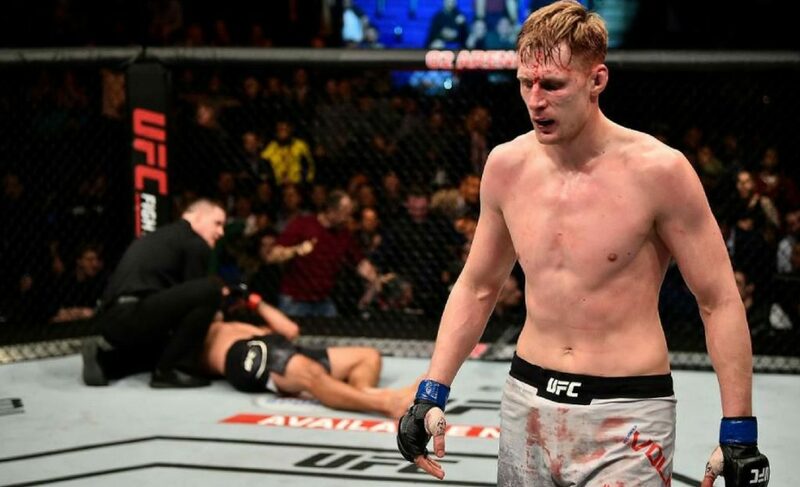 When the fight hits the ground, if he finds himself on top, he will look to pass the guard, obtain a dominant position, and submit his opponent, like he did to earn a submission victory over Walt Harris in a mere 1:05 at UFC 216. If he finds himself on the bottom, he will look to establish his guard to protect himself from damage, before deciding whether to pursue submission attempts or execute a tactical stand to return to his feet and continue striking. Perhaps the most under-discussed aspect of Werdum’s ground game is how it allows him to be an aggressive striker. Because very few of his opponents want to be on the ground with him, Werdum can open up with strikes much more freely than most other competitors, as he has no qualms about being taken down. 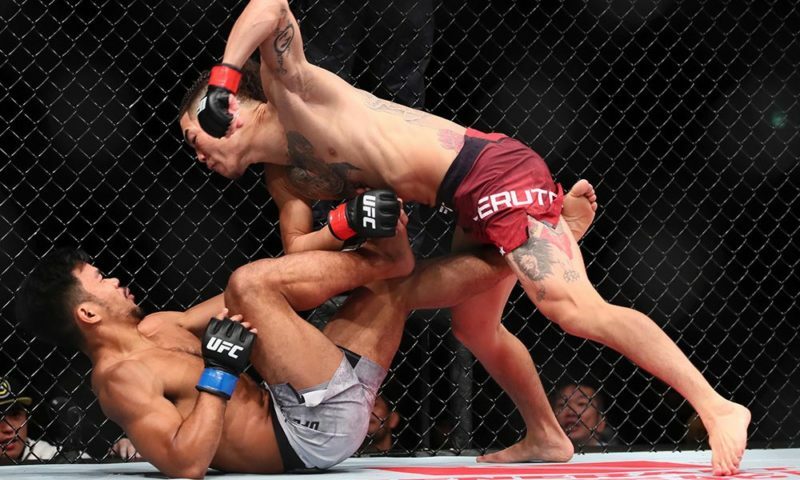 Most MMA fighters are rightfully scared of being taken down and pinned, so they consciously (or subconsciously) trade efficiency in their striking for the added benefit of extra takedown defense. These sacrifices to their strikes come in many forms, most notably not sitting down fully on their punches, not throwing as many kicks as they should, or ending their combinations before they should. Because Werdum is perfectly fine fighting off his back, he doesn’t have to make these sacrifices, giving him an added edge over his opponents. Like his grappling, Werdum’s striking game is designed around the mastery of a simple and effective set of techniques that maximize damage output while minimalizing energy consumption and risk. It isn’t flashy or composed of cutting-edge techniques, and it doesn’t change very much from fight to fight, which leaves some to view it as indicative of a low level of skill. The lack of exoticism in Werdum’s striking should not be considered as a detriment but in fact the opposite. Like his ground game, Werdum uses basic techniques to slowly grind down his opponents while standing, and force them to make errors that he is quick to capitalize on. The striking that Werdum showcases in the octagon is an almost perfect implementation of the patented Brazilian Muay Thai style of his coach, Rafael Cordeiro. Cordeiro developed his style of Muay Thai primarily for use in mixed martial arts competition, making it perfect for a fighter like Werdum who has no interest in competing in Muay Thai or Kickboxing. Cordeiro’s style becomes exponentially more effective if it is utilized by a fighter who is not scared of being taken down, like Werdum. With a heavy focus on the Thai clinch, Cordeiro’s fighting system works exceptionally well for taller fighters like Werdum, as his height advantage allows him to grab his opponent’s head easily and violently yank it into his oncoming knee strikes. Most fighters are hesitant to spam knees to the head as frequently as Werdum does, as bringing the leg up to head level makes it particularly vulnerable to being caught, which will most likely result in an easy takedown. At the peril of sounding like a broken record, this is not a concern for Werdum, who arguably outclasses every other fighter in the division on the floor, even if he is on the bottom. Werdum’s striking is continuously underestimated by opponents and spectators alike, most likely because it doesn’t look nearly as skilled or nuanced as it is. 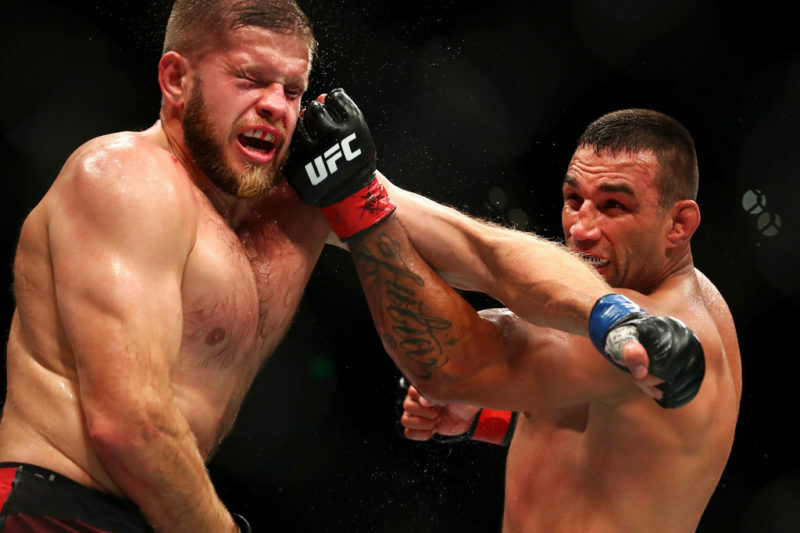 Never being one to utilize the traditional aspects of boxing, observers won’t see the constant head or foot movement from Werdum that is usually viewed as necessary to achieve a high level of skill. 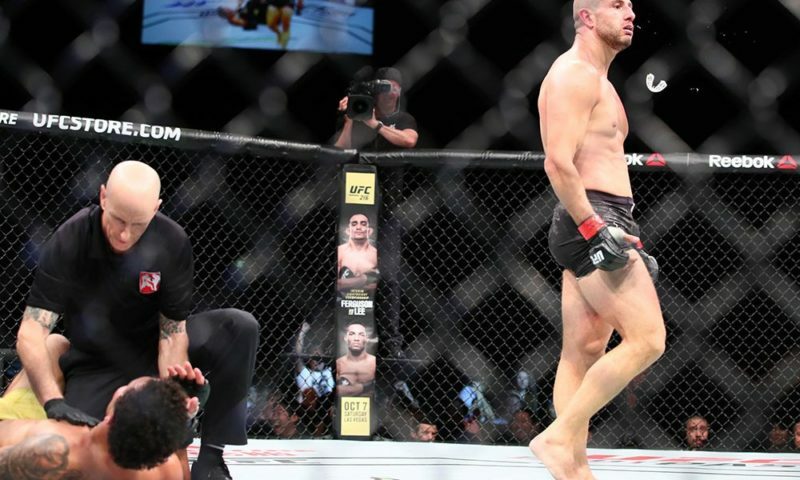 Instead, Werdum moves his head as little and as subtly as possible, narrowly slipping his opponents punches while countering, almost as if he is scoring points on the judges’ scorecards for moving his head less than his opponent does. 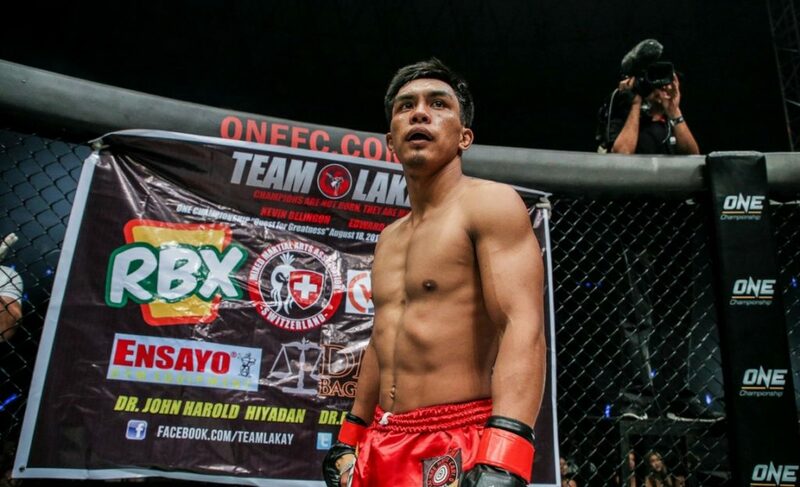 This lack of dynamic movement and highlight reel knockout power makes him appear as the typical skilled grappler with novice striking abilities, but his results in the cage prove contrary. Werdum’s strikes are thrown selectively and with every one intended to cause damage. 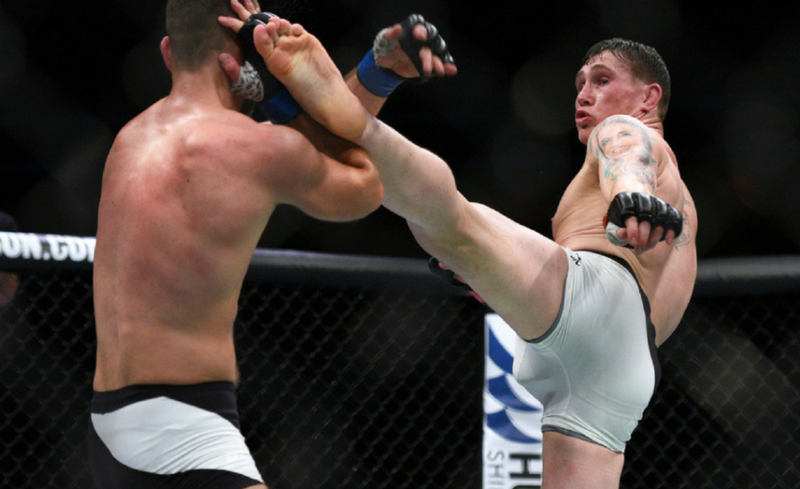 Although his victory over Cain Velasquez came by way of submission via guillotine choke, it was this style of concise and practical striking that wore down Cain and forced him to shoot for a sloppy takedown. Werdum’s striking isn’t flashy like Stephen Thompson. 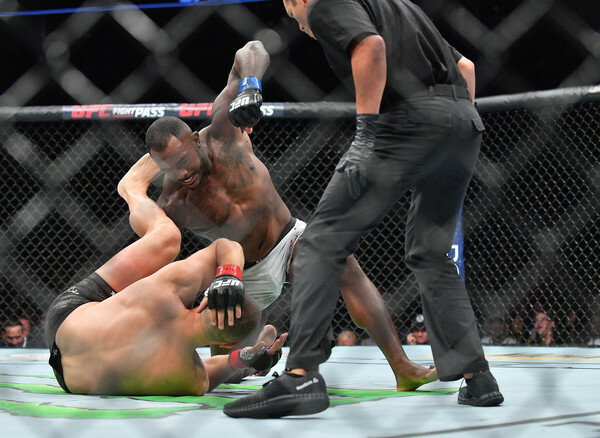 And it doesn’t result in highlight-reel knockouts like Francis Ngannou’s, but at the end of the day, it is unquestionably effective. 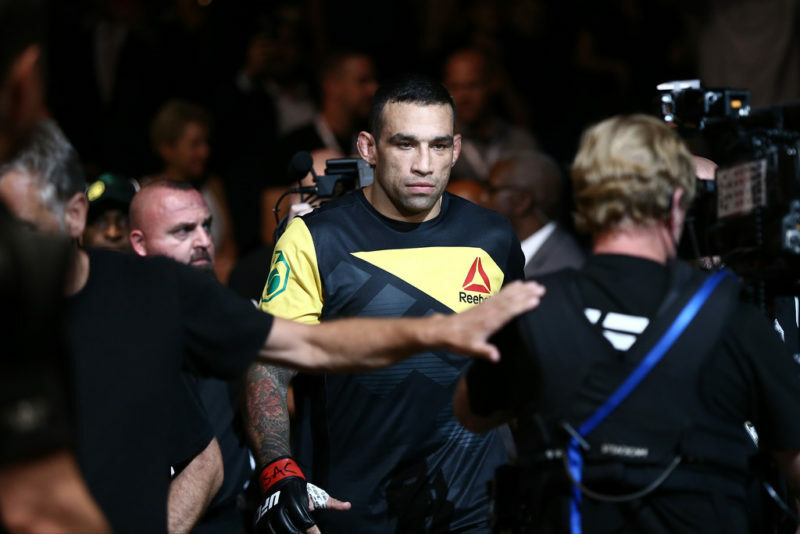 Over the course of 31 professional fights, Werdum has learned what works for him. A simple, straightforward array of striking techniques that take advantage of his superb grappling skills while still being effective on their own. 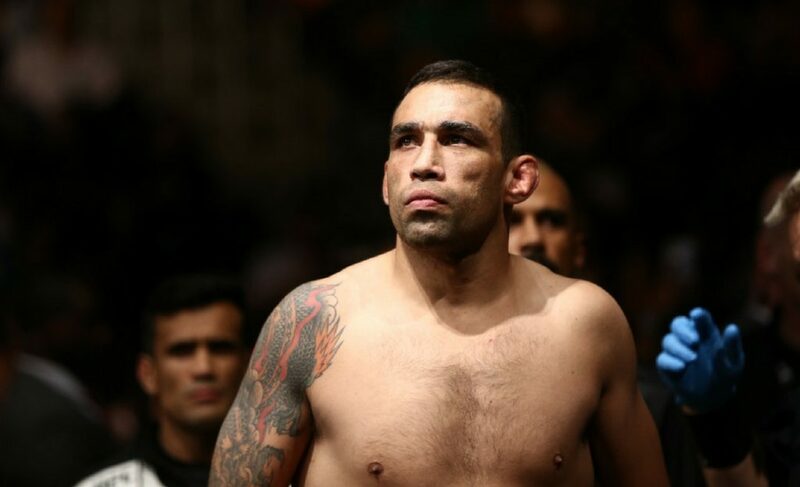 Werdum’s striking output usually lags behind that of his opponents, but time and time again the damage he causes exceeds the damage he receives. As perfectly highlighted by the words of UFC commentator Joe Rogan when shown that Cain was landing more blows than Werdum in their classic bout, he exclaimed: “forget the numbers, Fabricio Werdum is landing the shots, and Cain is wobbling.” A few moments later Velasquez submitted, and Werdum became the UFC heavyweight champion. Fabricio Werdum is far from the one-dimensional fighter that he was when he entered professional mixed martial arts over 16 years ago. As the MMA world has adapted and evolved, so has Werdum. His commitment to mastering the building block Jiu-Jitsu techniques served him well in both his BJJ and early MMA career, and by applying the same philosophy of simplicity and efficiency to his striking, Werdum has become a well-rounded fighter who has remained at the peak of the heavyweight division far past what was initially expected. 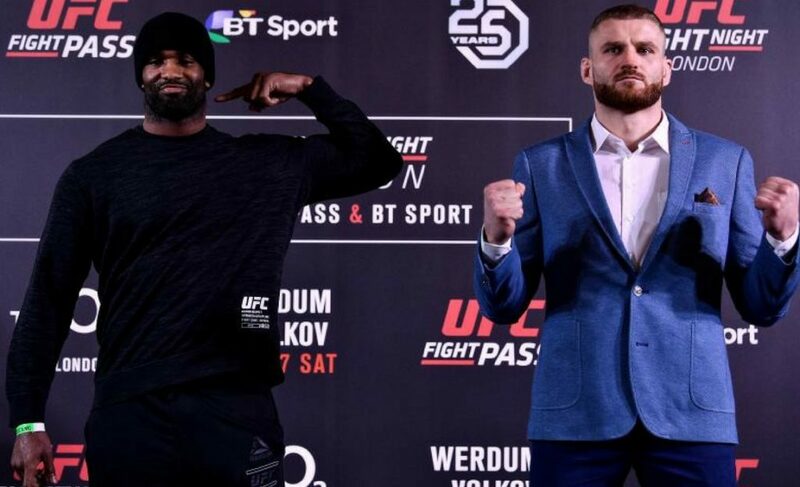 Should Volkov prove victorious, we could look back on this fight as the changing of the guard in the heavyweight division. 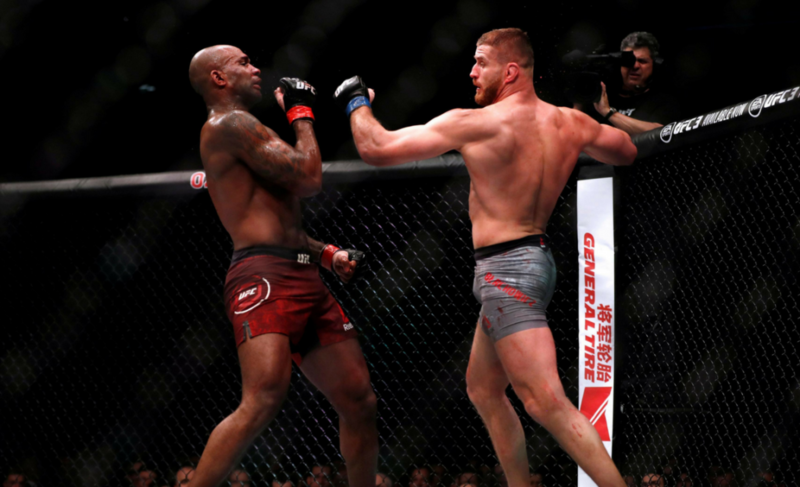 Why did Jimi Manuwa have so much trouble with Jan Blachowicz in their rematch at UFC Fight Night 127?